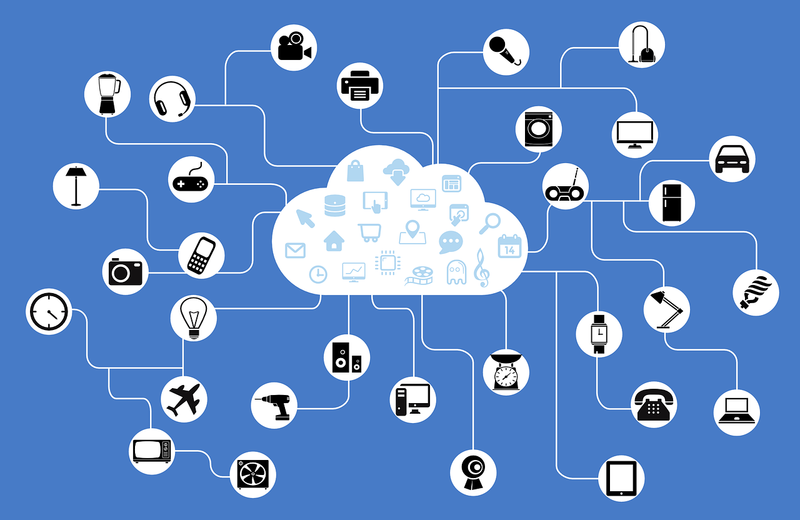 Big Data & Data Science Blog: IoT and Big Data: What's the link? IoT and Big Data: What's the link? The digital revolution has changed our lives. To begin with, technological advances were linked to the worlds of scientific research, industrial innovation, the space race, defence, health, private companies etc. But nowadays, everyday citizens can see how technology is changing their daily lives, ways of communicating, learning, making decisions and even getting to know themselves. You no longer have to be a "techie" in order to use words such as "Big Data" and "IoT" in our daily speech. But, do we really know what they mean? What is the IoT? What does it have to do with Big Data? Put simply, IoT is an acronym for Internet of Things. The philosophy that this concept stands on is the connection between the physical world and the digital one, through a series of devices connected to the internet. These devices work like an improved version of our sensory organs, and are capable of collecting a large amount of data from the physical world and transmitting it to the digital world, where we store, process, and use it to make informed decisions about how to act. These decisions can end up being made automatically, since the IoT opens doors to the creation of application in the fields of automation, detection and communication between machines. The data collected by these connected devices is characterized by its great Volume (there are millions of sensors continually generating information), Variety (sensors of all types exist, from traffic cameras and radars, to temperature and humidity detectors) and the Velocity at which is it generated. These 3 V's are the same ones that define Big Data. To these three we can add Veracity and Value. It is said that this data is the oil of the 21st Century, but by itself, it is not very useful. However, if we apply advanced Big Data analytics we can identify trends and patterns. These "insights" carry great value for companies since that can help them to make decisions based on data, what we at LUCA call being "Data Driven". The application of IoT has two very different aspects. On one hand, that which is related to consumers, comprising of applications aimed at creating smart homes, connected vehicles and intelligent healthcare. On the other hand, the business-related uses, those application relating to retail, manufacturing, smart building, agriculture etc. Which elements make up the IoT? The Internet of Things is made up of a combination of electronic devices, network protocols and communication interfaces. Wearable technology: any object or item of clothing, such as a watch or pair of glasses, that includes sensors which help improve its functionality. Quantifying devices for people's activity: any device designed to be used by those who want to store and monitor data about their habits or lifestyle. Smart homes: any device that allows you to control or remotely alter an object, or that contains motion sensors, identification systems or other measures of security. Industrial devices: any device that allows you to turn physical variables (temperature, pressure, humidity etc.) into electrical signals. Figure 1 : A graphic representation of the Internet of Things. These devices can reach certain levels of intelligence. At a most basic level, we see devices which are simply able to identify themselves in a certain way (identity), but then we move on to devices that can define where it is (location). Further still, there are devices which can communicate the condition that it is in (state) and those that can analyze their environment and carry out tasks based on certain criteria. Communication and Cooperation: being able to connect either to the internet and/or other devices, therefore being able to share data between themselves and establish communication with servers. Direction: the ability to be configured and located from anywhere on the network. Identification: the ability to be identified via technology such as RFID (Radio Frequency Identification), NFC (Near Field Communication), QR (quick response) code and more. Localization: being able to know its own location at any moment. Intervention: the ability to manipulate its environment. With regard to protocols, we already know that in order to connect to the internet, we need TCP/IP (Transmission Control Protocol / Identification Protocol). The first steps in terms of the IoT were made using the fourth version (IPv4). But this brought an important limitation, since the number of addresses that it could generate was reduced. From 2011 onwards, the Internet IPv6 communications protocol was designed, which permits an infinite number of addresses. This meant that the IoT could develop since, according to Juniper Research, by 2021 there will be over 46,000 connected devices, sensors and actuators. As well as the protocols, a connection interface is needed. On the one hand, there are wireless technologies such as WiFi and Bluetooth. On the other, we have wired connections, such as IEEE 802.3 Ethernet (which means you can set up a cabled connection between the IoT device and the internet) and GPRS/UMTS or NB-iot which use mobile networks to connect to the internet. These last ones, at their cost, are usually used for devices where a low level of data consumption is expected, such as garage door opening systems or rangefinders in solar fields. In 1990, John Romkey and Simon Hacket, in response to a challenge launched by Interop, presented the first device connected to the internet; a toaster. You could use any computer connected to the internet in turn it on, off and choose the toasting time. The only human interaction needed was to put the bread in. The following year, of course, they added a small robotic arm to fully automate the process. 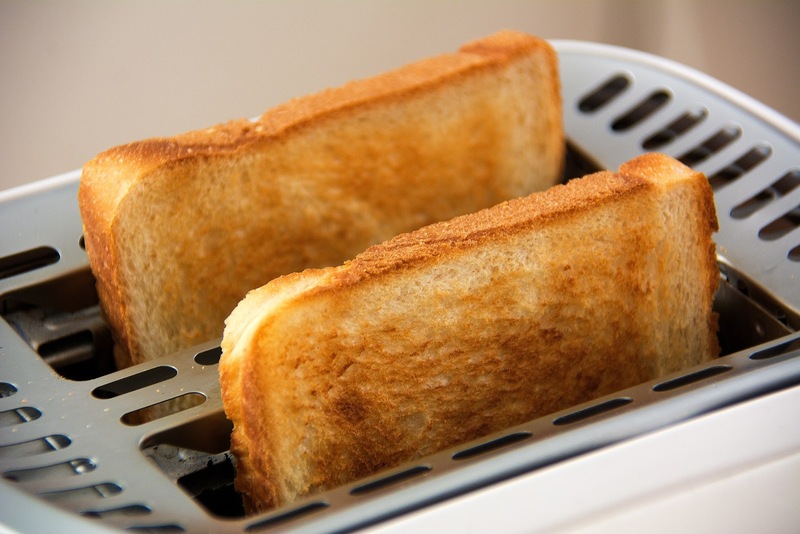 Curiously, in 2001, another toaster became a protagonist in the history of the IoT, when Robin Southgate designed one capable of collecting weather patterns from online and "printing" them onto a slice of toast. Figure 2 : The first connected device was a toaster. Although Romkey and Hacket's toaster is often referred to as the first IoT device, the true first actually came much early. In the 70's, the Department of Computer Science at Carnegie Mellon connected a CocaCola machine to the department server via a series of microswitches, meaning that before "taking the walk" to the vending machine, you could check on your computer whether there was stock left and whether the bottles were at the right temperature (since it knew how long they had been stored for). Although this device wasn't technically connected to the internet (since the internet was still in development), it certainly was a "connected device". Moving on from toasters and vending machines, the Auto-ID Center at the Massachusetts Institute of Technology (MIT), played a crucial role in developing the IoT, thanks to their work on Radio-Frequency Identification (RFID) and the new detection sensor technology they developed. In 2010, thanks to the explosive growth of smartphones and tablets, and the falling price of hardware and communications, the number of connected devices per person exceeded 1 for the first time (1.84). It should be noted that there was not an even distribution at a global level. The rapid innovation that we see in this area brings together a diverse collection of different networks, designed for different and specific purposes. Therefore, one of the main challenges for the IoT is to define common standards that allow these various networks and sensors to work together. On the other hand, each day we have new technological advances in miniaturization, where components are becoming more powerful and efficient. However, there is something that slows this progress down: energy consumption, and in particular, autonomous batteries. When you are talking about a connected device for personal use, such a smartwatch, it can be somewhat frustrating when you have to keep recharging it, but it's not a huge issue. However, with devices that are located in remote locations, it is vital that they work well with just one charge. in order to solve this problem, research is being done into devices that harness energy from their surroundings. For example, water level sensors that can recharge their batteries with solar energy. The IoT significantly increases the amount of data available to process, but this data doesn't become useful until they are collected, stored and understood. It is at this point when Big Data comes into play, with its ability to store and process data at a massive scale. We add to this the falling price and rising availability of connected devices. This will lead to an explosion of revolutionary applications that can create "smart cities", help us efficiently use energy, lead to a more comfortable lifestyle where tasks are done for us, mean that medical diagnoses can be more precise and even offer us information from space. The Internet of Things and Big Data are two different things, but one would not exist without the other. Together they are the true internet revolution.